There's no easier way to recruit interested moderators than to tap directly into the community with a new discussion. Who are you looking for? 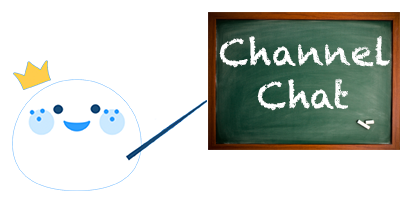 Things to consider: availability to moderate, familiarity with the community, interest in the channel's topic, qualifications to moderate effectively. What specific responsibilities would I have as a moderator in this channel? Set the expectations for what the role would entail by describing basic tasks including cleaning up spam, closing off-topic discussions, or starting discussions. When you’ve identified someone you’d like to add as a moderator, visit the Moderators tab in your channel’s left sidebar and add them using their @username. 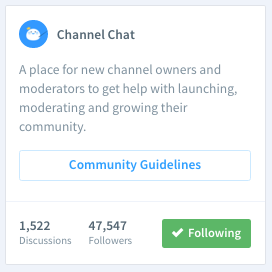 Channel Chat is a community for channel owners to collaborate on growing communities. In other words, this channel was built for your success! Headline: Recruit a Mod: Join [Channel Name]!